Got a big dog? This leash is designed specifically for medium to large dogs, to comfortably position your dog right at your side. At just 30 cm long. 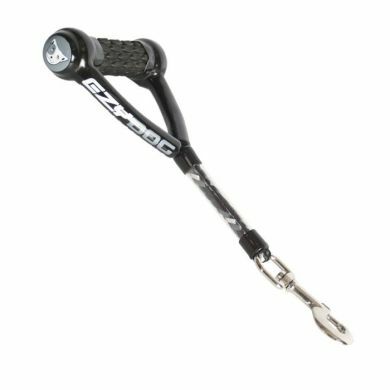 This leash is perfect for crowded areas and for training. 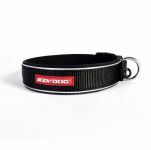 Add the Mongrel Extension and the result is a 2 in 1 Shock Absorbing Leash. 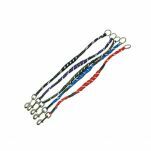 The Mongrel with Mongrel Extension creates a 36 inch leash with 6 inches of Shock Absorbing Stretch. I bought this for my Weimaraner that loves to pull on the leash which makes it painfull for me. So I thought I should try the EzyDog Mongrel Leash and I am very happy that I made the right decision. Read 2 customer reviews of EzyDog Mongrel Leash. The average customer rating is 5. It is good quality and tough, the short length is a great idea for large dogs and I have much more control. The handle is super comfortable - no more wrapping the lead around my hand and having the circulation cut off by an excited dog at the other end. - This also gives me more control as I can hold on without it hurting. With this leash, and gaining the control back, I am more able to train my dog how to walk on the leash. Great!